PTSD (Post Traumatic Stress Disorder) has emerged in recent years as a cause celebre. Once ignored and marginalized by the military, the often-tragic consequences for sufferers have forced the issue in a way that is leading to more appropriate medical interventions. Veterans are being more effectively screened upon their return from deployment. Better education is reducing mis-information. And new strategies are being investigated to help veterans diagnosed with PTSD. With research come new questions and novel insights. For example, at what point does Post Traumatic Stress (PTS) rise to the level of a Disorder (PTSD); i.e., a condition vs. a diagnosis? 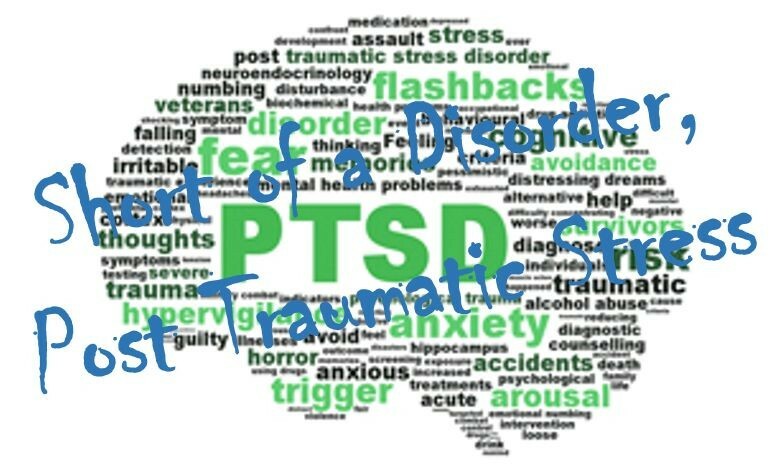 Or, though PTSD is now acknowledged among professions outside the military, in which sufferers have experienced significant violence and death (such as police and fire fighters); how might the diagnosis be applied to other professions? As researchers and mental health professions learn how to deal with PTSD, one would hope that lessons learned might be applied in a relevant manner to persons with PTS; persons who fall short of a PTSD diagnosis but still need help. Whether or not the incidence of mental illness in young adults has increased, most people today probably know a family affected by it. Acknowledgement of a mental illness is typically quite slow, for a variety of reasons. Some forms of mental illness emerge in the mid-twenties. It can be invisible, with the sufferer appearing otherwise normal. It is hard to discriminate between adolescent acting-out and aberrant behavior beyond their control. Mental illness is so feared and poorly understood by both parents and physicians that an accurate diagnosis is delayed to a last resort. A typical scenario. A young man begins to feel depressed and self-medicates with alcohol and drugs. An eventual overdose lands him in rehab. There are significant financial costs to the family; the consequences of his irresponsible behavior, damages resulting from his addiction, and multiple expensive stints in rehab. His parents and other family members experience a toll related to the physical and psychological stress of associating with a loved one’s struggles with addiction and mental illness. That stress can lead to divorce and even dissolution of the family unit. Assuming the young man is eventually diagnosed and begins to receive appropriate treatment for the mental illness, what resources are available for family members who now struggle with PTS? PTS does not require experience with severe violence and death. Rather, it is a response to any upsetting event that returns to haunt and hinder a basic sense of safety. Though it may not rise to the level of a Disorder, it still imposes limits on health and happiness.